As we were fans of traditional arcades, my friend Y took J and me to an arcade located in Odaiba, a district of Tokyo. Odaiba is an artificial island in Tokyo Bay that was first used for defence purposes. It had a few phases of development and his now mainly used for offices, commercial centers, restaurants and the likes. At Y’s suggestion, we sat at a strategic location at the front of the monorail AGT train that would take us there. The front seat of this driverless train faces a window giving you a driver’s perspective of the ride. We had the best view of the city as the train sped us along toward our destination. Tokyo is quite spectacular at night with all its lights – a very busy type of spectacular. I was first surprised by the biting cold and the scorching wind that welcomed us at the end of our relatively short train ride. Y explained this was due to the fact that Odaiba was an island. Despite this explanation, the temperature difference with the mainland remained surprising. 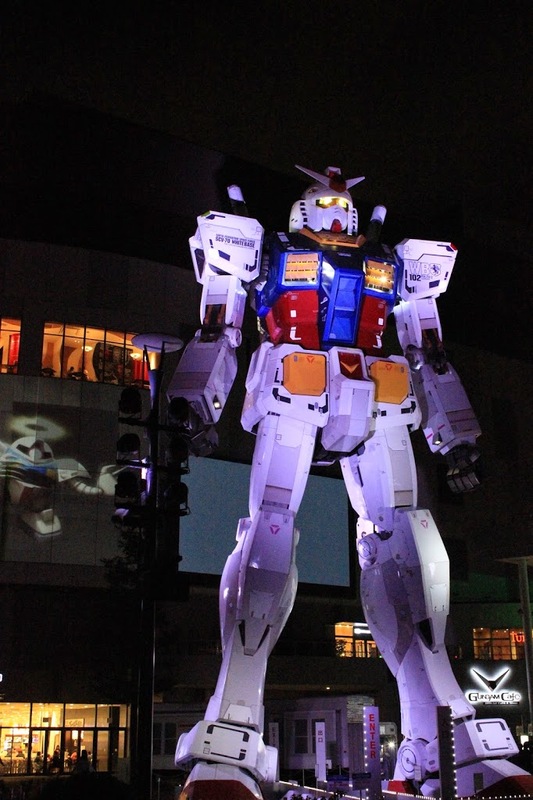 As we walked toward our arcade destination, we passed in front of a giant sculpture of a Gundam Wing robot. It was illuminated by a light show and accompanied with screen displaying extracts from the anime. I can tell you this thing was huge, maybe as high as the complex behind it. Y, J and I spent a few minutes looking at it in wonder, as such a structure would warrant. As J said: Only in Japan! We then continued on our way to the arcade. We waited in front of the ticket office for about 30 minutes waiting for the time when the price of the tickets would go down drastically. If I remember correctly, that was at 8 pm, but don’t take my word for it. I will admit that I was a bit surprised at the high price for the pass at Sega Joypolis, but it is not your good old arcade, it is more like an amusement park in its own right. You do find your good old Dance Dance Revolution and the drum game (like Rock Band with traditional drums). Then, there are the more impressive rides, like the skateboard ride where you are strapped in this contraption that takes you up and down this ring and you must maneuver your board according to the directives of the game – which I did not understand. Another impressive game was a driving one, where you get in an actual car and must drive along the race course while the car jerks to all your movements. I really liked that one. There were also some 3D rides, where you get in a “vehicle”, be it boat or jeep, and you are taken for a ride by a crazy driver on screen that most likely got his license in a box of Cracker Jack. Depending on the ride, you fall from the sky, off a waterfall or through some ancient ruins. Another good one was the haunted house, reminiscent of the ones you can find around Niagara Falls in Canada, this one with a Japanese horror movie thematic, not unlike the Ring. As we followed our guide lighting the way with her flashlight, actors dressed in white dresses and with long black wig covering their features would jump out from behind doors and holes in the walls and run at us. We were supposed to take pictures of certain elements of the set, but my picture of a hand holding a cellphone was deemed of too poor quality as I had not gotten close enough. After a fun and eventful evening, it was time for our trio to head back and part ways for the night. 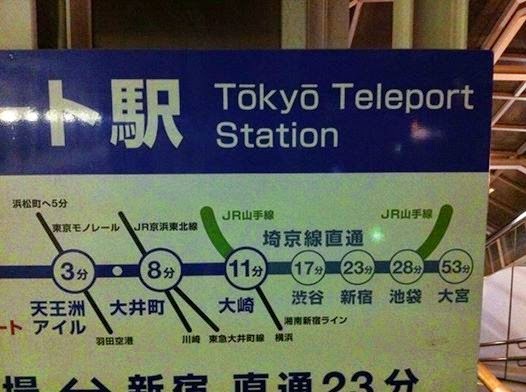 To get to Odaiba by train, take JR Saikyo to Tokyo Teleport Station or Yurikamome to Daiba.